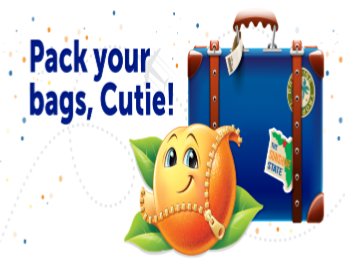 Cuties’ Dream Vacation Giveaway Sweepstakes – Win a trip to Walt Disney World! ENTER SWEEPSTAKES HERE – Cuties Sweepstakes page. ENTRY LIMIT – Limit one entry per person or email address per day. ELIGIBILITY – The Promotion is open only to legal residents of the 50 United States who are 18 years of age or older at the time of entry. SWEEPSTAKES ENTRY PERIOD – Cuties’ Dream Vacation Giveaway commences at 11:00:01 AM Pacific Time (“PT”) on February 18, 2019 and ends at 3:59:59 PM PT on March 30, 2019. Twenty (20) Secondary Prizes consisting of one (1) $500 Disney Gift Card. The ARV of the Secondary Prizes available to be won in this Promotion is $10,000.00 USD. c/o DMA Produce Solutions, Inc. The name of the Prize winners will be available after April 2, 2019. Sweepstakes in Seattle Weekly Round-Up 1/7 – Win the 2019 HGTV Dream Home, a trip to the Super Bowl, gift cards & more! Happy New Year! Hard to believe it’s 2019! There are already some great sweepstakes going in the new year (including the 2019 HGTV Dream Home). So check out this week’s round-up and get entered in these new sweepstakes! Let me know if you won a prize recently and I’ll share it on the next weekly round-up! 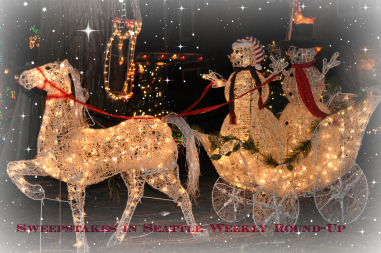 Sweepstakes in Seattle Weekly Round-Up 12/16 – Win $10,000, gift cards & more! We are in the home stretch for Christmas – are you ready? Lots of sweepstakes will be ending soon and there will be fewer new sweepstakes starting until after Christmas, but I’ll still be posting any new sweeps I find. So kepp checking back to see what’s new. I hope you are checking back often, we had several sweepstakes posted just this week that had short entry periods that have already ended – check back often, so you don’t miss out! Let me know if you won a prize recently and I’ll share it on the next weekly round-up! DeAnn won a $10 Home Depot gift card from the Coca-Cola Holiday IWG! 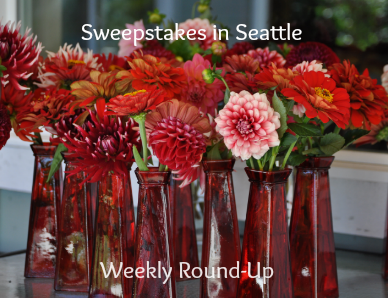 Sweepstakes in Seattle Weekly Round-Up 12/9 – Win a trip to Hawaii, $25,000, gift cards & more! We had a BIG winner this week! Chelsea C. won the Seattle Seahawks Toyota Tundra after entering from right here at Sweepstakes in Seattle! Congratulations Chealsea C.! I want to hear from you readers, I love to hear about your wins! Let me know if you won a prize recently and I’ll share it on the next weekly round-up! Chelsea C. won the 2018 Seattle Seahawks Toyota Tundra from the Seattle Seahawks Sweepstakes (expired)! DeAnn won a Coke, a large popcorn and a Coke and Movie Ticket from the Coca-Cola Holiday IWG! Sweepstakes in Seattle Weekly Round-Up 11/3 – Win a trip to NYC, $5,000, a smart watch, gift cards & more! Well, we’ve made it through Halloween and we just gained an hour back. Maybe you’ll use that hour to browse the round-up and get caught up on all the new sweepstakes. If you saw last week’s round-up, you might notice that one of the big prizes is the same – that’s because this week, there are actually two sweepstakes with a trip to NYC as the grand prize! I hope you’re enjoying all the holiday sweepstakes that I’ve posted. I love Christmas sweepstakes! Keep checking back daily, I’m sure there will be more holiday sweeps starting up every day until really close to Christmas! Let me know if you won a prize recently and I’ll share it on the next weekly round-up! 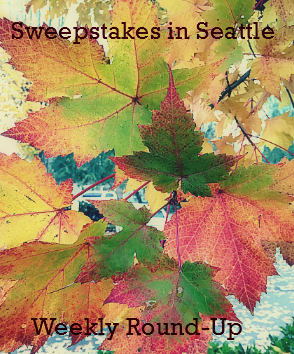 Sweepstakes in Seattle Weekly Round-Up 10/28 – Win a trip to NYC, $50,000, gift cards & more! It’s been ages since I shared a weekly round-up! Has fall been flying by for you like it has for me? My son had his wisdom teeth out the end of Sept. and now it’s the end of October. Doesn’t even seem possible, but the sweepstakes are starting to turn to the Christmas theme, so it must be true. There are some great sweepstakes I’ve already shared on this list and I have some great ones waiting to be shared this week – so be sure to check back often! 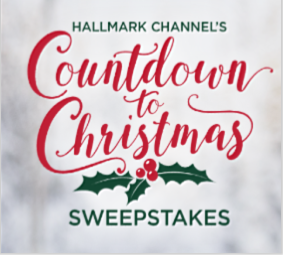 Don’t forget to scroll through the whole list – there’s a new weekly entry sweepstakes from Hallmark! Let me know if you won a prize recently and I’ll share it on the next weekly round-up! Scott won a $100 Walmart gift card from the Walmart Sweepstakes (expired)! Congratulations, enjoy your prizes! Did you win a prize? I’d love to hear about it and share your winning story right here on the weekly round-up, just leave a comment on the blog. 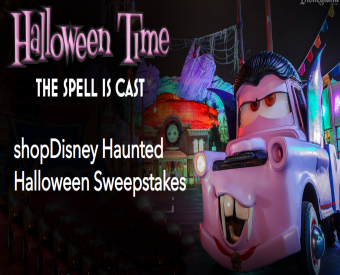 shopDisney Haunted Halloween Sweepstakes – Win a trip to Disneyland! 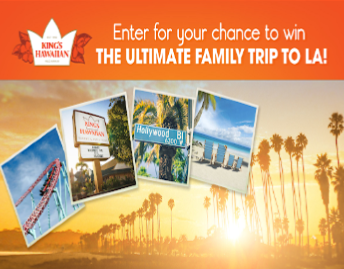 Win a trip for 4 to Disneyland & more! 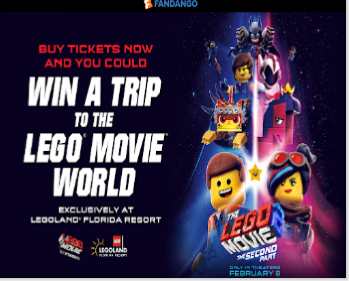 ENTER SWEEPSTAKES HERE – Disney Sweepstakes page. You will need a Disney account to enter – it’s FREE to sign up. ENTRY LIMIT – Limit of one (1) Entry per Member per day. ELIGIBILITY – The “shopDisney Haunted Halloween Sweepstakes” (“Sweepstakes”) is open only to legal residents of the 50 United States or the District of Columbia, Puerto Rico and Canada (excluding Quebec) who are at least eighteen (18) years of age (or age of majority in their jurisdiction of residence, whichever is older). SWEEPSTAKES ENTRY PERIOD – The Sweepstakes begins at 12:00 PM Pacific Daylight Time (“PDT”), September 11, 2018 and ends at 12:00 PM PDT, October 9, 2018.
transfers will not be provided for the Group; (c) room accommodations consisting of one (1) standard room (with a maximum of four (4) persons) for two (2) consecutive nights at a Resort or Resort area hotel selected by Sponsor in its sole discretion; daily parking at the Resort and the hotel is not included; (d) up to four (4) 3-Day Disneyland® Resort Park Hopper® Tickets with the Disney MaxPass feature (subject to restrictions); (e) one (1) Disney Gift Card with a value of $300.00 USD for the Grand Prize Winner only (subject to restrictions); (f) services of one (1) Disneyland Resort VIP Tour Guide for up to eight (8) consecutive hours on one (1) day during redemption of the Trip (guide, services and hours to be determined by Sponsor); (g) one (1) World of Color reserved viewing experience, or another experience as chosen by Sponsor, for the Group during the Trip (subject to availability and show schedules). See below for additional restrictions regarding the Trip. Approximate retail value (“ARV”) of Grand Prize: $7,350.00 USD/$9,612.99 CAD which may vary depending upon point of departure. The ARV for the Grand Prize is an estimate made before the Sweepstakes begins. Grand Prize Trip must be taken between October 22, 2018 and October 27, 2019.